Sarasa’s Long-awaited CD of Boccherini’s Stabat Mater and Chamber Music to Be Released 12th April! 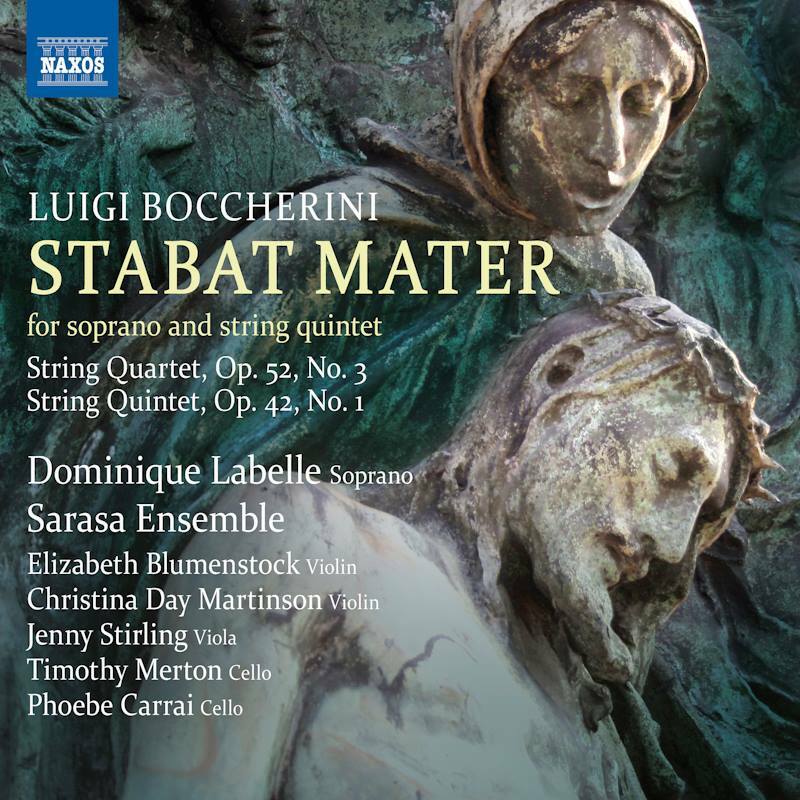 Sarasa is delighted to announce that our long-awaited CD of Luigi Boccherini’s Stabat Mater, featuring the incomparable Dominique Labelle, is due to be released on April 12th, 2019 on the Naxos label just in time for Passion Season. Boccherini's neglected version of this important Latin hymn sustains an expression of power and depth, passion and pathos in an intimate setting for solo soprano and string quintet. Our CD balances this moving portrayal of the Virgin Mary’s darkest moment with two captivating, buoyant and carefree string chamber works, the String Quartet in G major, Op. 52, No. 3 and the String Quintet in F minor, Op. 42, No.1 all performed on gut strings. Visit www.sarasamusic.org/recordings or http://www.arkivmusic.com/classical/albumList.jsp?label_id=19&bcorder=6&LabelAll=1 to get your advance copy today! Those people who supported the making of this CD will be receiving their copies very soon! THANK YOU! March Madness / April Fool’s! Founding Director Timothy Merton is in the middle of a different kind of March Madness at his other job: producing maple syrup on his farm in Putney, VT. Due to a very cold February, the sap did not begin to run until March 11th. So far he has produced 1,100 gallons and hopes to reach his annual yield of 1,600 gallons although the weather outlook forecasts warm temperatures in the next days. When the maple buds begin to show, the sap begins to lose its quality taste for producing delicious syrup. If you’d like to sample Tim’s maple syrup, why not stop by Watertown's Deluxe Town Diner for a traditional breakfast on Mt. Auburn St. or the newly established Country Mile on Belmont St., which features his maple syrup on an eclectic foodie menu?! Tim will occasionally be selling this year’s maple syrup at the Lexington, Belmont and Harvard Square Farmers’ Markets.